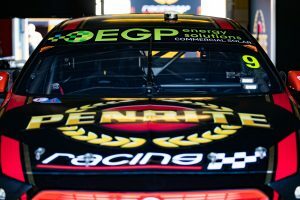 Erebus Motorsport has announced a new partnership with specialised commercial solar provider EGP Energy Solutions. 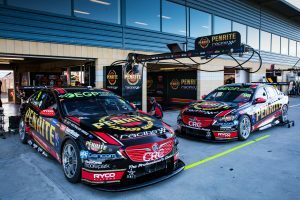 Both Penrite Racing Holden’s will prominently display the EGP logo on their windscreens this weekend, as well as the upcoming Phillip Island SuperSprint, Perth SuperNight and Winton SuperSprint. “We’ve worked hard across all aspects of our business and it’s fantastic to be working with Darren and his team at EGP Energy,” CEO Barry Ryan said. Erebus will reduce their carbon emission by harnessing the power of the sun to produce clean, renewable energy, with the installation of a 40kW solar PV system. “We are super excited and grateful for the opportunity to partner and work alongside Barry and the team; supporting their decision to be powered by renewable energy,” EGP’s Managing Director, Darren Harry said. “Everyone is feeling the pain with ongoing energy price increases, and unfortunately they will not disappear unless we make change. The proudly West Australian-owned company focuses on empowering businesses with renewable energy solutions, reducing company energy expenses by 80%. Harry says their recent development into Victoria meant the partnership was a perfect fit. 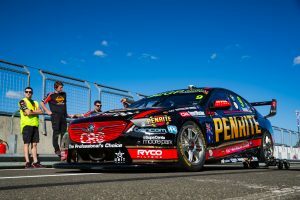 “Last year we successfully grew our operations nationally with the opening of our Melbourne office, and saw a great opportunity to support Erebus and their vertical network of partners, sponsors and fans,” he said. “We will work with all our commercial partners to see how EGP Energy can help many of them, to not only head towards being environmentally sustainable but also reap its other rewards,” Ryan added.